The allure of gold has endured throughout history. In the earliest days of commerce nations and states pressed gold into coins whose value was universally recognized and accepted. Over the centuries the art of minting gold coins was continually refined as nations vied for the honor of having the most stunning currency. Many of the finest examples from the late 19th century and early 20th century were seized by collectors before they were circulated and are available to investors today. The Rarity Premium: Advantage or Disadvantage? Two things determine the value of Certified Rare Gold Coins – their gold content and the rarity premium, an added value determined by the scarcity and desirability of the coin. There is a finite number of any rare coin in existence and no possibility of more being produced, so the scarcity of the coin depends solely on how many are available to the public. Any highly desirable coin will become scarcer as the number of collectors and investors increases – decreased supply and increased demand rapidly drive the rarity premium upward. Many “experts” see that as cause to warn investors to steer clear of rare coins, but consider their argument. In essence they contend that the high premium over the spot price of the gold content means you get less for your money, inferring that the premium goes into the pocket of the dealer who sold the coin (as if the dealer who purchased the coin didn’t have to pay the premium as well). We invest in those things that we believe have a high probability of increasing in value over time. Both the gold content and rarity premium of Certified Rare Gold Coins fit the criterion very well, doubling the prospects for good returns. The rare coin market has a fixed supply (no new rare coins are being minted), which means there is stronger demand that can only be satisfied through price increases.Everything else aside, nothing compares to the historic richness and enduring artistry of Certified Rare Gold Coins. What other investment can be deemed a prized possession? So take a short break from the tutorial and browse through a sample from our extensive gallery. There you will see some of the finest Rare Gold Coins available, every one of which would be an investment you could treasure. Security. Authenticity and grade are guaranteed by unbiased independent grading services and the coins are sealed in tamper evident capsules for protection. Liquidity. Certified Rare Gold Coins are in constant demand and have immediate liquidity worldwide. Control. Physical possession and freedom from any third party liability give the investor total control over their investment. So, Are Certified Rare Gold Coins Better Than Stocks? 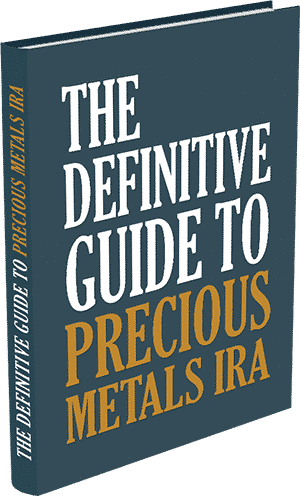 Although statistics have often been used to “prove” that Certified Rare Gold Coins are a better investment than stocks, the truth is that a robust portfolio needs to have each in prudent proportions. Stocks are capable of explosive growth and equally precipitous declines – gold investments act to counter both. The right investment in Certified Rare Gold Coins will add the protection you need in bad times and augment returns in the good. Our government has, in the past, outlawed the normal trading of gold bullion while exempting certain collectible gold coins. Our legal system is based on precedent. 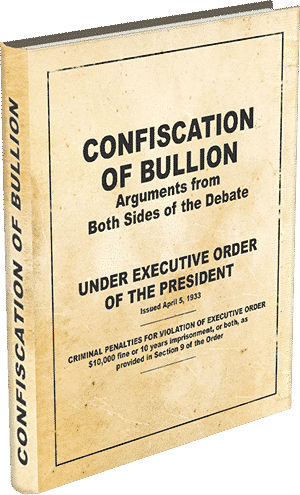 Ten years after the lifting of the prohibition of publicly held gold, the government tried to pass legislation clarifying the definition of collectible coins. 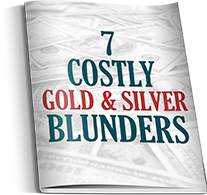 Whether that adds up to risk in holding bullion is for you to decide, but clearly any advantage would go to Certified Rare Gold Coins. Is Big Brother Watching Your Gold Transactions? Here again the scale it’s tilted in favor of Certified Rare Gold Coins. Dealers are not required to report any Rare Coin transaction to the government. 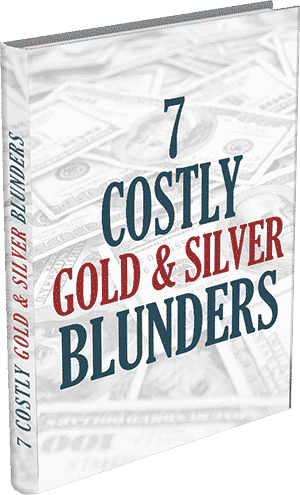 Most Gold Bullion Coin liquidations over a certain amount do require filing a 1099, although there are a few exceptions. For many the vast number of investment options in Certified Rare Gold Coins seems overwhelming at first. Relax. With the expertise, experience, and guidance of Certified Gold Exchange on your side you can invest with confidence. You need not be an expert, but don’t be surprised if you become one. 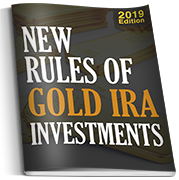 Gold Investing is serious business, but nothing is worth doing if you can’t have any fun doing it. Life is to short. Let the experts at Certified Gold Exchange help you get started on what could very well be a most rewarding and profitable investment in Certified Rare Gold Coins. Call 1-800-300-0715 today and ask about our select inventory of Investment Grade Rare Coins. President Theodore Roosevelt commissioned Augustus Saint-Gaudens to beautify all American coinage, but unfortunately the artist died after completing only two – the Double Eagle and the Indian Eagle. It is tragically ironic that vast numbers of Saint-Gaudens’ masterpieces would ultimately be seized and melted into bullion by the cousin of the man who had commissioned their creation. This Double Eagle – known officially as the Saint-Gaudens High Relief Roman Numerals 1907 – is considered by many to be the most beautiful American coin ever minted. Augustus Saint-Gaudens designed this coin to reflect the art of his famed medallions, which were relief portraits of exquisite detail. However, it took up to 11 strikes to produce the original coins, which, along with the near impossibility of stacking them, caused mintage to be halted after only 12,367 coins had been struck. If you look closely you will notice two other unusual features of this coin: the date is in Roman rather than Arabic numerals and the motto “In God We Trust” is missing. President Roosevelt had asked that the motto be omitted to prevent profane use of God’s name, and many eagle and Double Eagle coins were minted without those words before legislation was passed in 1908 requiring all currency to bear the motto. The United States Mint fulfilled Augustus Saint-Gaudens’ vision with the release of the Ultra High Relief Double Eagle Gold Coin in 2009. That coin has now joined the ranks of modern collectibles and is no longer available from the Mint. In an attempt to correct the problems of stacking and having to make multiple strikes while preserving the high relief of the original Saint-Gaudens Double Eagle, the mint experimented with a thicker coin of smaller diameter. However, changing the dimensions of any coin requires the consent of Congress and the idea was scrapped. Saint-Gaudens was asked to redesign the coin for lower relief, resulting in the Double Eagle most familiar today. The obverse is graced with the iconic Lady Liberty striding out from the coin as a new day breaks, a torch held high in her right hand lighting the way and an olive branch in her outstretched left hand offering peace. Around the circumference are 46 stars, representing the states in the Union. Two more stars were added in 1912 when Arizona and New Mexico were admitted. The reverse is adorned with an Eagle in full flight over the sun. The magnificent $10 Gold Indian is the second coin designed by Augustus Saint-Gaudens. The obverse features Lady Liberty adorned in an ornate feathered war bonnet emblazoned with the word “Liberty”. Thirteen stars representing the original states encircle her head. This bold design was met with considerable controversy when the coin was first released, but over time the public came to understand and appreciate its extraordinary symbolism. Like the Double Eagle, the Indian Eagle was first minted without the motto “In God We Trust”, but it was added following the passage of legislation requiring it in 1908. Also in 1908, forty-six stars appeared on the edges to represent the states of the Union at the time and two more were added when Arizona and New Mexico were admitted in 1912. The obverse of Liberty Eagles borrows the Coronet design first used on the 1816 Large Cent. That version was intended to make Lady Liberty appear more mature and came to be commonly known as the Matron Head. The most prominent feature of the Liberty Double Eagle is on the reverse – one of the most striking portraits of an eagle ever to grace an American coin. Although the design is similar to that on other Eagles, the symmetry and full frontal portrayal on the Double Eagle presents a far more imposing image. Because Congress had specified the nomenclature for coins in 1792 – Quarter Eagle for $2.50 coins, Half Eagle for $5 coins, and Eagle for $10 coins – it took another act of Congress to assign the Double Eagle name to this new coin. Due to its convenient size and denomination the Liberty Eagle was immensely popular with the public, becoming one of the most circulated coins in U.S. history. Great numbers of Eagles were hoarded during the Civil War as faith in paper currency plummeted. That fear that was substantiated after the war when Eagles fetched two and a half times their face value in paper currency. The Liberty Half Eagle is the only coin to have been struck at all seven mints. From 1839 to 1865 the coin was minted without the words “In God We Trust”. This “No Motto” version is extremely scarce due to efforts by the Government to curtail hoarding during the Civil War. The motto was added in 1866 and remained on the coin through its final mintage in 1908. The untimely death of Augustus Saint-Gaudens led to one of his students, Bela Lyon Pratt, being commissioned to redesign the Quarter and Half Gold Eagles. An exquisite profile of an Indian chief wearing a full feathered headdress adorns the obverse while on the reverse an Eagle stands proudly clutching an olive branch in one talon and arrows in the other. Unlike any other U. S. coin minted before or since, Pratt’s designs were incused (recessed) rather than raised, making the coins’ intricate details possible. This caused a great deal of consternation among the public, however, who feared the recessed features would harbor bacteria. Their fear was so great that even uncirculated coins were put aside for the future far less frequently than were other gold coins. Pratt also decided to forgo using protective rims on his designs and as a result pristine Indian Half and Quarter Eagles are extremely rare. Production of the Indian Quarter Eagle was halted from 1916 until 1925; five years later production of that denomination ceased. The short run of mintages and its role as the last Quarter Eagle to be minted have made the Indian Quarter Eagle particularly popular with collectors and investors alike. American Gold Dollars were minted between 1849 and 1889 in three distinct types. Each features Lady Liberty on the obverse and a wreath encircling the denomination and date on the reverse. Although commonly referred to as an Indian Gold Dollar, the Liberty Gold Dollar portrays Lady Liberty adorned with a crown rather than a headdress. With a diameter of only 13 millimeters it is the smallest of the U.S. gold dollar coins. Also unique to the Type I, there are no inscriptions on the obverse – unlike the others, “United States of America” encircles the wreath on the reverse. Because the small size of the Type I Liberty Dollars made them difficult to handle, a new coin was ordered for the 1854 mintage. Higher mint state grades of the Type I Liberty Gold Dollar are very rare. In an extremely scarce variation on just a few coins minted in 1849, Lady Liberty’s head is very small. The larger Type II Indian Gold Dollar has a diameter of 15 mm. It is the first in the series to feature Lady Liberty adorned with an Indian headdress and the inscription “United States of America” placed on the obverse. A problem with the design caused the date to strike poorly and mintage was halted after only three years, making the Type II Indian Gold Dollar the scarcest coin in the series. 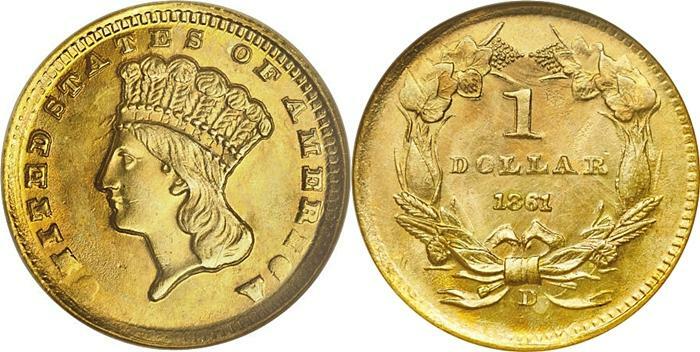 To correct a problem of weak strikes on the first two coins in the series, the Type III Indian Gold Dollar incorporated the Lady Liberty design used for the $3 gold piece. This classic version of the gold dollar coin stayed in mintage for the next 33 years. The Type II Indian Head Gold Dollar features Liberty in her feathered Indian headdress on the obverse, the reverse depicts a wreath enclosing the denomination and date. The diameter of the original Type 1 was increased by 2mm to 15mm to create the Type II so that the coins could be handled more easily. However the coin did not strike up well because of a design flaw. After being minted for only three years, the Type II was replaced by a new design. Because of its scarcity, there is a high demand for the Type II Gold Dollar, which is considered the key coin in the popular 12-Coin U.S. Gold Set. Certified Gold Exchange will evaluate your personal investment goals and recommend the most suitable form of rare coin investments to maximize profit and minimize risk. Call us now for a free consultation or charts and population reports on your favorite coins. Our friendly experts are available to assist you at 1-800-300-0715.